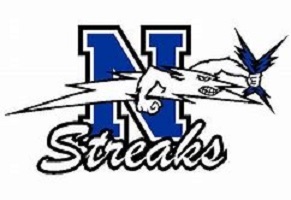 The Neodesha Bluestreaks still riding high off their final week win over rival Fredonia Yellow Jackets at home 35 to 20. We spoke with head coach of the Blue Streaks John Black tonight as he says his guys are really gaining traction. Normally teams at this point in the year are losing players to injury, however Neodesha continues to gain key players they lost early in the year. The return of LB #5 Blaze Grimes last week really helped defending the run. Returning players will help the Bluestreaks this week as well as coach Black says he is very happy the way Mayson Ellis has turned into a true leader of this offense. Having to step in for and injured Blaze Grimes early in the year, and Neodesha having to change their offensive scheme was a challenge. Black again is happy with the way Ellis has improved with his reads, and accuracy and expects him to be a huge factor for the upcoming game. Neodesha will battle a winless team in Independent Panthers tonight up in Wichita, though coach Black does not want to overlook this team as they have played a very difficult schedule with tough teams. He also compared themselves to Independent as last week the Blue Streaks were in the same shoes and came out and played very well. Kickoff is tonight at 7PM from Independent High School as the Bluestreaks will look to win 2 straight.